I am Umang Mehta, and this is #MyTattooStory. It’s quite something to look back on the naivety of youth. Till date I tend to ask people what they wanted to be when they were young, prior to being jaded by realities and responsibilities. As a child, I was made to believe that lawyers made a tonne of money whilst having an equal amount free time on their hands. “Courts shut early – have summer and winter breaks (like schools) – and you’ll be your own boss”, I was told. Having only ever seen adults struggle to make money, leaving early in the morning and getting back late at night – too tired to do anything, let alone cultivate interests outside the office, the thought of being a lawyer instantly captivated me. Spellbound by its charm, I decided, too early in life, that I would be a lawyer. As the ‘man of the house’ I convinced myself that if I became a lawyer, I’d be able to repay my debt as dutiful son by taking care of mum and my sister. Then, with all that free time, I’d do what I loved – play music. Yes, my naivety borderlined idiocy. Umang’s tattoo. Done by Eric Jason Dsouza. I was too young to understand the phrase “the law is a jealous mistress”. So, for as long as I can remember, when asked, I would, without a second thought (and much to the bafflement of people who knew me), answer my very own question by saying that I WANTED to be a lawyer. I said it so much and with so much conviction that even I managed to forget why I wanted to be a lawyer. Thankfully, I was reminded by one of the only people in whom I confided my true motive. Determined to never forget again, in my fourth year of work and the day I received my advocates license, I decided to get a permanent reminder. So I scrounged together all the money I could spare and approached a tattoo artist who, because of my lack of money and the simplicity of my design, pointed me in the direction of the apprentices in the store. Luckily for me, one of the apprentices happened to be Eric Jason D’souza. We were almost the same age and it took a lot repeating myself to convince Eric that I was ‘actually’ a lawyer. Eric didn’t push me to explain the meaning of my tattoo to him, he was content knowing that it and it’s placement meant something to me. It was incredibly heartening that Eric was as finicky about lines and alignment as I was. The first stencil on my arm was off-centre but before I could complete that thought, Eric had already rubbed it off, as he did with our second and third attempt at it. Never has a person stared at my arm with such concentration or from so many angles and distances. As he jumped around the room fixated on my arm, any fear of having been saddled with an inferior artist completely dissipated (his near identical renditions of a few Derek Hess drawings didn’t hurt either). I have, since that day, shared my life’s momentous and defining occasions with Eric and I have the scars (read: tattoos) to prove it. So, approximately ten years after my first day at a law firm, I popped into Eric’s shop, Iron Buzz Tattoos, with an idea and the news that I had quit law to play music full-time. Eric took the news and my request for a keyboard (that I could play when I folded my legs), came up with a concept, and transformed it into a piece of art. There is abundant reason why he is the only man to have ever shaved my legs. Whist everyone is entitled to their interpretation, this piece, to me, represents my struggle to get back to music. The keyboard has been battered, bruised and broken through the tumultuous times, but despite its being forgotten and often discarded- it has always been a part of me and, now, will remain so – more visibly than ever before. 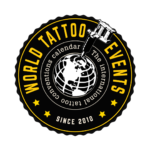 Share your tattoo stories with us, and inspire the world. 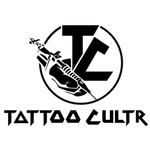 Write to us at info@tattoocultr.com. 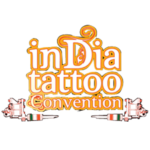 Next Post Next post: 10 mesmerising Shiva tattoos that will make you go BOOM!